Is music literacy important? We think so! Here is how we add knowledge of music to our daughter’s life. Disclosure: I am an Amazon associate, and this post has affiliate links. For full disclosure, please click here, and thank you for supporting my blog! I have a confession to make. I am musically illiterate. There are many things that contributed to it including the fact that I am also tone deaf, and I felt really stupid during music classes where our teacher was introducing beginnings of music theory to us. I felt really dumb, which was a very new feeling to me, since I couldn’t for the life of me to tell C note from D note. Not surprisingly, I don’t play any music instruments and can’t read music. It was my hope that Smarty would not inherit my weakness and will have a better relationship with music theory and sheet music than I did. Smarty didn’t express any serious desire to take music classes until she was 8 and became eligible for our school choir (a choir program started in the third grade). Both my husband (who does have music aptitude and plays several instruments) and I were amazed to hear her going from not being to carry a tune at all to being reasonably good with songs that she practiced for choir. The choir program also introduced important elements of music theory to kids. This year Smarty promptly signed up for choir again and then fell in love with a trumpet during band presentation and begged us to let her sign up for a band as well. So now she is busy practicing her first 5 notes on trumpet and learning to recognize notes on the music sheet. To be honest, she is not eager to practice every day, but does a good job of it once she gets started. It’s only a short jump from learning to read music to composing. Think Fun company makes this jump even shorter with an innovative game called Compose Yourself. Think Fun gave me this game to review, and we decided to give it to Smarty as part of her birthday present. She was delighted, especially because this game has a component that requires going on a computer. I liked the game mostly, because it’s a single player game that Smarty can play on her own in her free time. The idea is that you are given 60 transparent cards with note sequences on them. You can select up to 16 cards, then go to the Compose Yourself website and enter the codes of each card in your composition. Then simply hit “Play” and hear your melody played either by a full orchestra or by a single instrument. 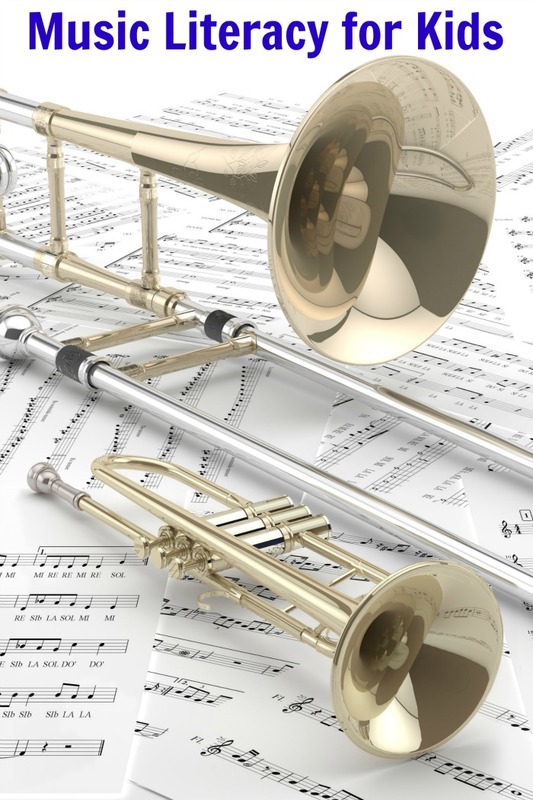 You can print your composition on a sheet music paper and try to play it on the instrument of your choice or you can download an mp3 of your composition and send it to friends or share on social media. The biggest drawback of this game is that you cannot save your composition on a website and that it’s really quite short, since you can only repeat your sequence twice. Smarty still cannot part with her first composition even though she printed and downloaded it. I wish website designers would include a save options for “pack rats” like my daughter. Still, I think the game will be great for introducing music theory and composition for the kids with no or limited musical education and could jumpstart their interest in learning to play a musical instrument. It is also reasonably compact and will make a great Christmas stocking stuffer for kids age 7-12. More Music Ideas for Kids? Do your kids play music instruments? Which ones? I saw this "game" on another blog and it looked interesting there too. Princess is expressing interest in music (she's requested a piano for Christmas). I've been looking for a game to promote note reading - I'll have to check it out. I think my little musicians would enjoy this game!